State Representative Terry Goodin was first elected to the Indiana House of Representatives in 2000. Goodin represents the citizens of Indiana House District 66 at the Statehouse in Indianapolis. On Nov. 27, 2017, Goodin was elected as leader of the Indiana House Democratic Caucus, a position he held until Nov. 7, 2018. Goodin is a member of the Indiana House Standing Committee on Roads and Transportation. When not engaged in his legislative responsibilities in Indianapolis or back in Indiana House District 66, Goodin serves as superintendent of Crothersville Community Schools and raises beef cattle on the family farm. Goodin is married to Darcie—they have three children. Goodin is a member of the Indiana Farm Bureau, the Indiana Association of Public School Superintendents, the National Association of Basketball Coaches and the National Rifle Association. He is also a member of the F. & A. M. Scott Lodge #120, the Indiana Beef Cattle Association, the National Cattlemen’s Beef Association and the Austin Church of God. 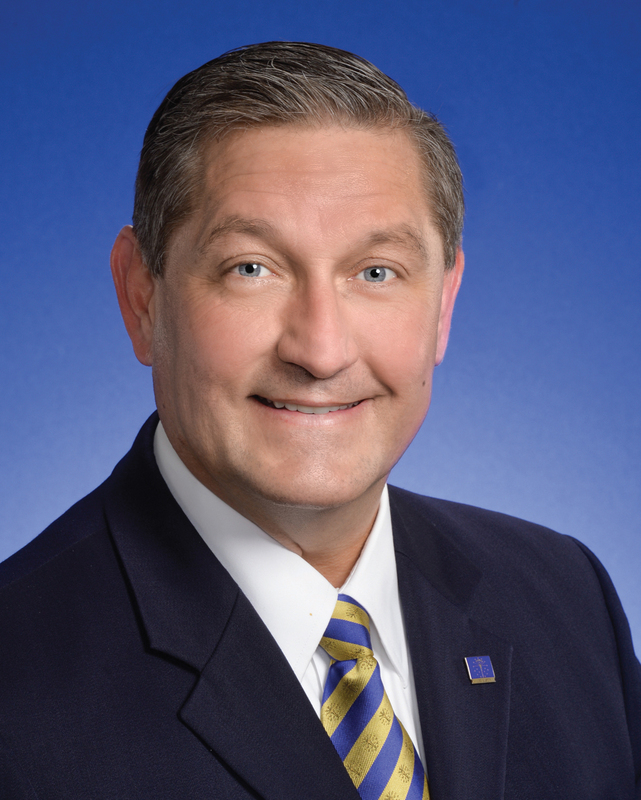 Goodin is a graduate of Austin High School, earned his bachelor of arts and master of arts degrees from Eastern Kentucky University, and received his doctorate in education from Indiana University. If you require assistance from Rep. Terry Goodin, please utilize the form below. Alternatively, you can call or write a letter by using the information below.